On March 17, 2016, the Federal Communications Commission (FCC) gave Google permission to conduct its Project Loon experiments in the U.S., despite evidence it will violate human rights and harm human health and the environment.Based on details in the application, the experiments may take place at any location and any time or continuously, will pollute public and private environments indoors and outdoors in the U.S. with microwave radiation, and do not include any requirement to notify people in the area who will be exposed to an altered experimental environment. Eight companies are planning to launch more than 11,000 satellites for global wireless coverage – a microwave radiation based technology. An action group composed of citizens worldwide – Global Union Against Radiation Deployment from Space (GUARDS) – contends that these projects, which include projects by SpaceX, Facebook, and Google’s Project Loon, violate important human rights conventions due to the serious biological effects and non-consenting microwave radiation exposures which will result. This global union contends that decades of congressional corruption has resulted in a lack of protections for the public. Are 11,000 more satellites set to severely affect public health and the ozone layer? The Federal Communications Commission (FCC) has granted the request of OneWeb to launch and operate its proposed constellation of 720 satellites to cover the United States market. 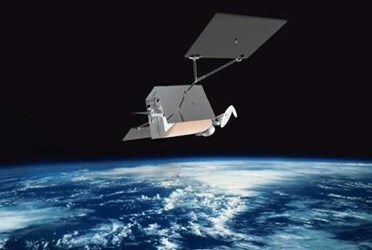 Calling it the first-of-its-kind, new generation of large, non-geostationary-satellite orbit, fixed-satellite service (NGSO FSS) systems, FCC said in its declaratory ruling that OneWeb’s network of satellites will “provide high-speed, affordable broadband connectivity to anyone, anywhere” in the United States. Prior to launching satellites, FCC ordered OneWeb to secure from the United Kingdom Space Agency an authorization for deployment and space operations in the 10.7-12.7 GHz, 14-14.5 GHz, 17.8-18.6 GHz, 18.8-19.3 GHz, 27.5-29.1 GHz, and 29.5-30 GHz frequency bands, among other requirements. OneWeb is planning to launch 720 satellites into low earth orbit, at an altitude of approximately 1,200 kilometers, beginning in 2018, with a full launch by 2019. The company has set ambitious goals of “connecting every unconnected school” by 2022, and “bridging the digital divide” by 2027, according to The Verge. Currently available satellite internet service is slow, expensive, and largely out-of-reach for individual consumers, who can be charged up to $200 a day, noted The Washington Post. Low-earth orbit satellites closer to earth promise smoother and faster internet service. “The goal of this non-geostationary satellite orbit (NGSO) technology is to provide global, high-speed broadband service — and its use case is particularly compelling in remote and hard-to-serve areas,” said FCC Chairman Ajit Pai in a statement. OneWeb is competing with SpaceX, which is planning to launch a 4,425-strong ‘constellation’ of its own, as well as several other companies planning satellite-based, gigabit-speed broadband and communication services globally. OneWeb was the first to apply to the FCC for its satellite network’s approval on April 28, 2016. Noting that other companies filed their own requests shortly thereafter, Pai said the granting of OneWeb’s petition is the first of many. “This Order lays the foundation for deployment of future low-Earth orbit satellites while establishing carefully measured standards to ensure that these NGSO constellations will not interfere with their terrestrial or geostationary counterparts. And the Order provides that OneWeb will need to accommodate in-line interference avoidance and spectrum sharing with other NGSOs in the future,” said Pai. Other conditions specified by FCC for OneWeb to meet include protecting geostationary-satellite orbit (GSO) operations by meeting equivalent power-flux density limits, protecting terrestrial operations by meeting power-flux density (PFD) limits, and certain restrictions to avoid conflict with operators of the Upper Microwave Flexible Use Service (UMFUS) and the 17.8-18.6 GHz Frequency Band. Pai said FCC also has an ongoing rulemaking proceeding that seeks to update the Commission’s current NGSO Fixed Satellite Service rules to better accommodate this type of satellite system.